Created by artist Catherine Widgery, Leading Lights features 28 glowing columns of dichroic glass. 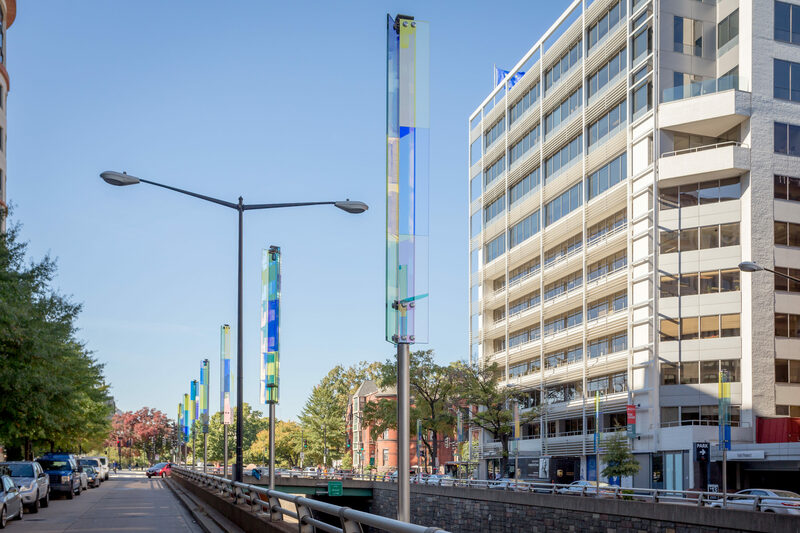 The vertical glass panels create triangular lanterns that brighten the bustling K Street Gateway and harmonize with the vertical forms found in the surrounding architecture and landscape. 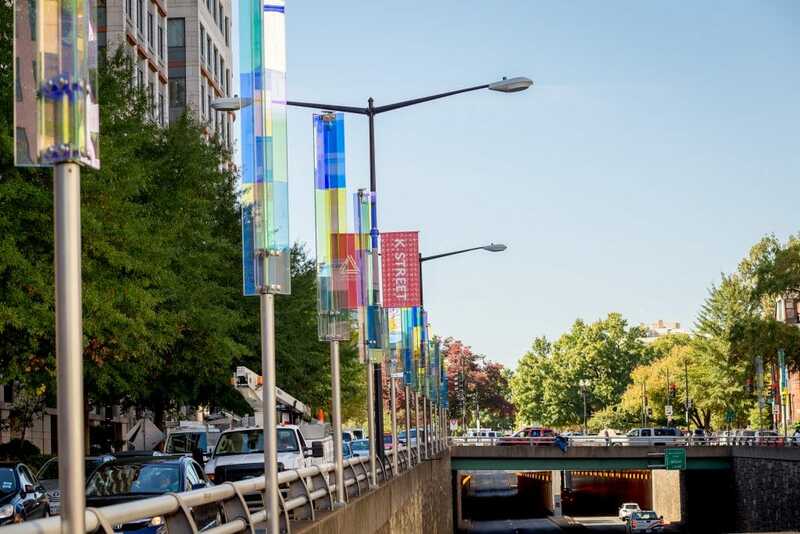 The dichroic glass gives the works a jewel-like quality and the colors of the artwork constantly shift depending on the angle of the sun and the position of the viewers as they enter the Golden Triangle neighborhood. The project was conceived as a way to create a strong visual impact that’s visible during the day and at night, producing a contemporary and inviting aesthetic to reflect and enhance the neighborhood feel. 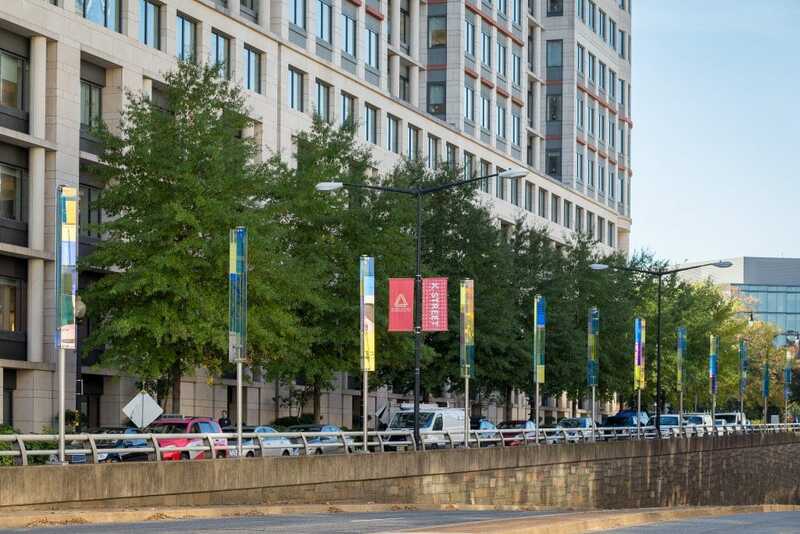 Leading Lights was commissioned by the DC Commission on the Arts and Humanities and the Golden Triangle Business Improvement District.